We are entering a new era of technology that moves us beyond the information age of the Internet, to a world where everything is connected. Many commentators predict that the Internet of Things (IoT) will transform sectors such health, transport, agriculture, business processes and the domestic environment. A recent McKinsey report estimated that the IoT will be worth between $4 and $11trillion, globally in the next 10 years. It is being driven by the exponential growth of computing power, the development of new sensors, big data and rapid prototyping techniques. However the IoT is not simply about connected washing machines and fridges. The real power of the IoT comes from understanding the vast amounts of data from these devices to create a frictionless experience. In other words, the IoT will work most effectively when we don’t know it’s there. The following examples show the potential of applications and the range of organisations that are delivering them – from big brands to small startups. Transport will be heavily impacted by the IoT. Uber, for example is an IoT app. It’s not just about connecting drivers to passengers, it is about making use of big data to predict demand. 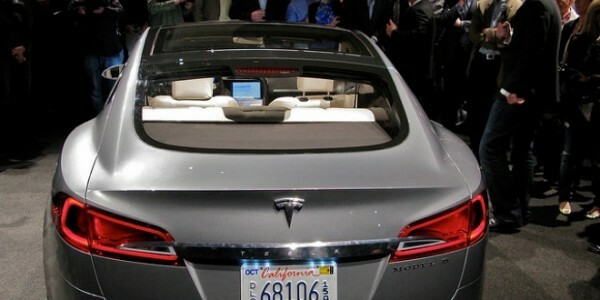 Tesla cars, are by their very definition, IoT devices. When Tesla found a software fault with their vehicle, rather than an expensive and PR damaging recall, they simply updated the car’s operating system over the air. 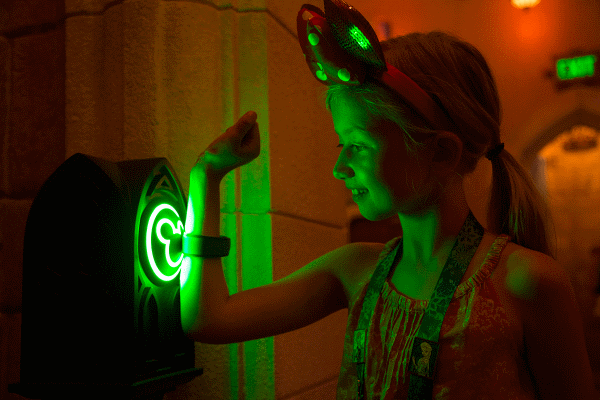 Disney’s Magic Band is a $1bn investment that demonstrates how brands can use the IoT to deliver an utterly frictionless user experience. The band arrives before the park visit and does everything from accessing rides to paying in restaurants. It also knows the user location, so after ordering food, the server knows where they are sitting. And of course, there’s no bill to wait for as payment is automatically made via the band. The IoT isn’t simply about connecting objects; there’s also an emerging animal element. Connected cows have been able to increase calf production six fold, connected sheep can text shepherds a warning of wolves nearby, and fitness collars for dogs can significantly improve their health. The Clever Buoy example might best be described as The Internet of Sharks. The creatures emit a unique sonar signature, and buoys strategically located near the coastline can be used to alert lifeguards of the proximity of sharks. Simple, effective. A few years ago Red Tomato Pizza in Dubai created a fridge magnet; when the button was pressed, it dialled the company and ordered your favourite pizza. 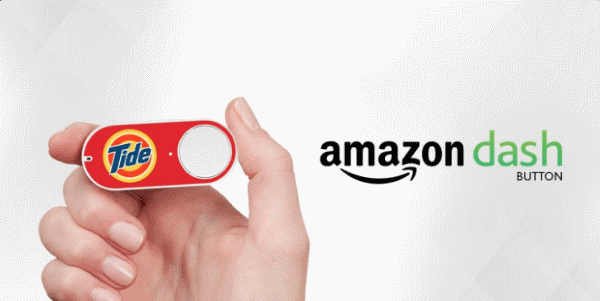 Amazon has taken this concept a little further with their Dash button for groceries. It’s a simple adhesive device that has a brand logo and a button to push. Connecting through your WiFi and the Amazon app, it automatically orders the relevant item from their store. Whilst Dash is as much a PR stunt than a solution, it shows how the IoT can be used in a simple, effective way. Anyone living in a major city will be aware that there is a pollution problem, but they may not know exactly where that is. Buggy Air is a simple solution that uses sensors mounted on baby buggies to measure air quality at ground level to a micro scale. The sensors are able to identify Nitrogen Oxide and particulate levels fed back to a smartphone. 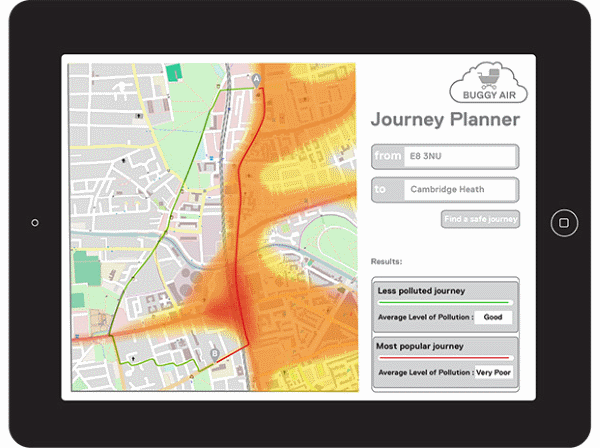 As well as alerting individual parents that they are in a danger area, the information is fed back to the cloud, to creative a precise map of the levels of pollution street by street. Clever and very helpful. The Nests of this world are an obvious example of how smart metering and connected domestic devices. 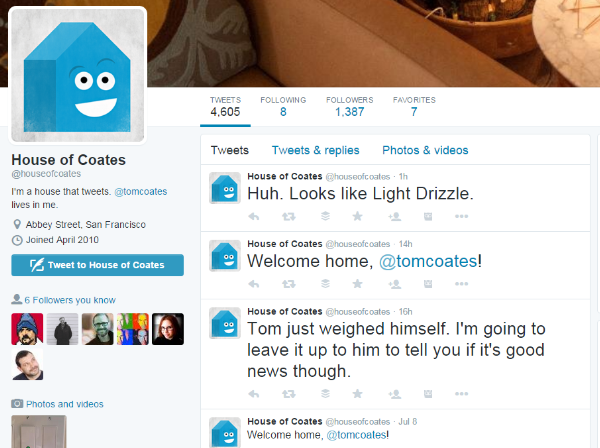 However, for a truly connected home, go and visit @houseofcoates Twitter feed. Tom Coates is a British technologist based in San Francisco and has connected most of his home to Twitter. The house alerts him to different activities from temperature to movement and even a grumpy Ficus plant that constantly needs watering. The strength of this project is how it anthropomorphises the house – it creates a real sense of connection to the objects. So much so, that people actually Tweet back at it! Over 850,000 people in the UK are currently living with dementia, and the Nominet R&D team believe they have a solution to make life better for them. They have created simple sensor network around the home called Pips. These can be used to help sufferers organise their daily routine, and by extension, and help to retain their independence. This holographic table, currently in prototype, is a good example of how displays are changing. Holographic projection has developed considerably in the last few years, with companies such as Musion’s Digital Resurrection and Holition’s work for brands. The next generation of devices will project remotely – in other words, they can deliver a believable telepresence as part of the Internet of Things. There have been a number of projects to create connected clothes – truly wearable devices. Cute Circuit’s Twitter Dress is the most impressive of these. Created for Nicole Scherzinger, the couture dress took live feeds from Twitter and displayed them within the fabric. It’s fun, but a little pointless. The Internet of Clothes is a concept that makes connects garments in a more useful way. Items in a wardrobe are tagged (using RFID) and remind the owner they need to be worn. If they aren’t taken out the house then the clothes automatically donate themselves to Oxfam. This post was written by Mark Brill, digital strategist and innovation consultant, who leads Emarketeers’ Internet of Things training course.